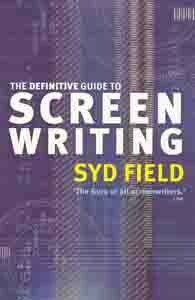 Published for the first time in the UK, Syd Field, acclaimed writer and director, tells you step-by-step how to identify and fix common screenwriting problems, providing the professional secrets that make films brilliant – secrets that can make your screenplay a success. He provides easily understood guidelines for writing a screenplay, from concept to finished product. The art of film-writing is made accessible to novices and helps practiced writers improve their scripts, as the author pinpoints stylistic and structural elements such as characterisation and plot. Tips and techniques on what to do after your screenplay has been completed and much more are all here. There are also practical examples from films which Syd Field has collaborated on such as Lord of the Rings, American Beauty and The Pianist. Written for all levels of screenwriters, this is an indispensable reference book for anyone who wants to make money as a great screenwriter.